Someone wants ancient history to stay that way—and believes murder is the surest way to keep the past buried. Can she solve a sixty-year-old mystery before decades of deceit, greed, and retribution cost Zelda her life? The third entry in the museum and artifact-themed Zelda Richardson quasi-cozy mystery series has much to offer those fascinated with other cultures, especially primitive ones. Like Lover’s Portrait, the second in the series, there are intermittent flashbacks woven throughout the present day narrative which have a direct correlation to what’s happening now. The author has done a good job in making the flashbacks to Nicholas Mayfield’s expedition in 1962 as interesting as the present day narrative of Zelda’s involvement with an exhibition about the Asmat culture. 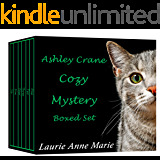 Because Mayfield disappeared mysteriously, the reader already has one mystery, and more are added when crates stored for decades create more mysteries than they solve. Bis Poles, old bones that shouldn’t be there, a belt buckle and a discovered journal Zelda is charged with transcribing for the Tropenmuseum of Amsterdam are only a few elements of this mystery. The author does a good job of bringing the reader into this world, showing the conflicts between governments and museums in regard to exhibits and ownership of artifacts. She does an even better job of making it all interesting, and flow well. While there is no breathtaking pace, a likable protagonist, and the developing mystery — amidst the museum setting, and in the past — is all entertaining enough and interesting enough to keep the reader turning pages. Zelda photographs and catalogs items while transcribing a journal they hope will help answer some of the questions surrounding Mayfield’s expedition, and his mysterious disappearance. It turns out that someone close to home was part of that expedition, but their reaction to the discoveries are unexpected, creating another mystery. Up to this point, this is definitely cozy mystery country, but then there is a brutal murder, and the journal is gone. The sudden violence, though committed offscreen as befits a cerebral cozy, is very well done, and has an impact for the reader. This is where I had a minor caveat, however. It’s done so well, you expect it to take the story — Zelda — in that direction. Yet, we quickly get back into the day-to-day work on the exhibit, alternating between flashbacks of the ill-fated expedition of young and wealthy Nicholas Mayfield. While that isn’t a bad thing, as it’s all interesting, the impact of the murder was muted somewhat, the opportunity to ratchet up the tension smothered a bit in the day-to-day goings on for this reader. By the time there is a second murder, it was difficult to recall the first, and recapture the impact. It’s a minor caveat, however, since this is an entertaining and interesting read in this genre. It did make the finale a bit flat for me, however, but I suspect those who love the cozy genre will be very pleased. My first issue was that Friedrich here didn’t figure in much, and a few times came off as sort of immature. My second was the blandness of Zelda’s relationship with Jacob. When it came up, I actually had to go back to remember who he was in the story. The relationship of Frederich and Zelda in Lover’s Portrait was engaging — even if inevitably disappointing. I felt at the time that it was an opportunity missed, because there was such charm there. Here, I neither liked nor disliked Jacob, and it didn’t have the same charm or backstory as the one in Lover’s Portrait. Like the climax, it seemed a tad artificial, just a tiny bit perfunctory. I have to stress these are ticky-tack caveats, and not ones I’d allow to affect my rating. The audience for this will most likely find it extremely enjoyable. I did as well. I guess what I’m saying, is while I really liked Rituals of the Dead, I liked Lover’s Portrait a tad more. 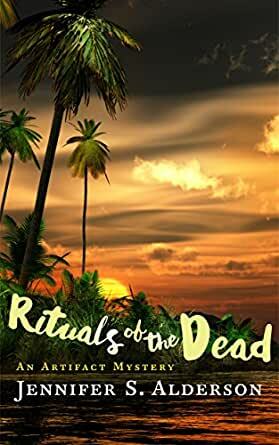 Rituals of the Dead is a fine read in the cozy mystery genre. But while it is perhaps more technically polished than the previous entry, I thought Lover’s Portrait had a bit more heart. Still, I’m giving this four stars (probably 4.2 for me) because it succeeds as an entertaining read in this genre, and I enjoyed it. I do enjoy reading this author's work as her knowledge is extensive and results in me researching the subject even further. This time, a proposed exhibition of native artifacts in an Amsterdam museum collides with the disappearance of a young American man bartering for the same items in 1961 in New Guinea. Murder and intrigue combine as Zelda Richardson, an art history student, sets about solving a mystery that's over 50 years old. First, I'm a big fan of Alderson's, and I've read her other books, The Lover’s Portrait: An Art Mystery, Down and Out in Kathmandu: Adventures in Backpacking, and Notes of a Naive Traveler: Nepal and Thailand. I was impressed by the first book and continued to love her work. When I heard about this one, Rituals of the Dead, I was already excited to read it. Now, with all that said, I need to dive right into this story. Even when I like or love an author's work, I never have any preconceived notions about whether or not I will like the book or not. From chapter one, I was drawn in, very curious about Nick and wondering where he or his life would fall in to the life of Zelda. Alderson is a grand writer, and I like her writing style. Her research and knowledge are shown within the story, and her characters. I like Zelda, and always have, and this book brings more depth to her character, and sets her on a new mystery. I love that she's human, and has to prevent herself from getting sick in the most presence of the most gruesome scenes of death and decay. Look forward to more. Simply magnificent, filled with intrigue and suspense, and a lot of wonder! I'm uncertain why this novel did not hold my interest, because it had all the elements that I usually consider essential to a good read: well-defined characters, good writing and editing, an interesting premise, realistic behaviors, fascinating tidbits about cultures and customs which were unfamiliar to me. I originally found the passages concerning the artifacts intriguing enough to punch out to the Net and look up photos of bis poles. Nevertheless, despite all these elements, I simply lost enthusiasm for the story. Perhaps it was the slightly heavy moralizing that infected many of the passages, or the fact that it seemed in some ways to be more of a museum tour or travelogue than a mystery novel. In any case, I would definitely NOT tell another reader to skip the book. Simply because it wasn't my cup of Earl Grey doesn't in any way mean that it wouldn't fascinate another reader. Everything I like in a mystery: Compelling characters, international settings, a mystery steeped in culture and history. Immersed in the debate currently taking place in the international art world, the theft of artifacts and demands by indigenous people for their return, the novel presents various sides of these issues for the reader to consider. All in all, this is a very satisfying mystery that left me with much to ruminate on. I have not read the other books in the series yet. This worked well as a standalone mystery, but I will definitely seek out and read the first two novels in the series. Jennifer Alderson’s first-hand experience and meticulous research make this well-written novel a fascinating read. Her attention to detail is bound to captivate anthropology fans. It also poses the moral question as to who owns the rights to ancient artifacts and how they should be treated. The protagonist, Zelda Richardson, is an engaging, ethical researcher that readers will easily applaud. My compliments to Jennifer Alderson for another enjoyable read. If you’re looking for a mystery jam-packed with art and history, look no further. History comes alive as Alderson interweaves the past (the disappearance of an archeologist in 1962) with art student Zelda Richardson’s present assignment (a museum exhibition of bis poles). Being a lover of history, I enjoyed learning about past and present Dutch history while trying to solve two mysteries. Zelda is a fun and inquisitive sleuth! I look forward to going on more adventures with her.